There has been a lot of buzz around the interwebs lately about Chinese paper artist Li Hongbo and last week I had the privilege of visiting this must see exhibition of his exquisite and remarkable accordion-like paper statues, in person. 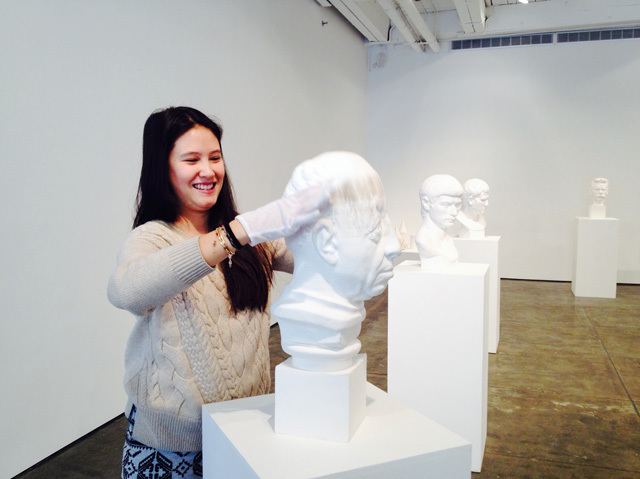 Li Hongbo debuting his first solo exhibition in the United States entitled "Tools of Study" which showcases a large series of statues that are recreations of famed masterpieces. Upon first glance, one would think that these sculptures are made from some sort of cast, or possibly a smoothed porcelain, when in fact they are made from thousands of layers of paper.